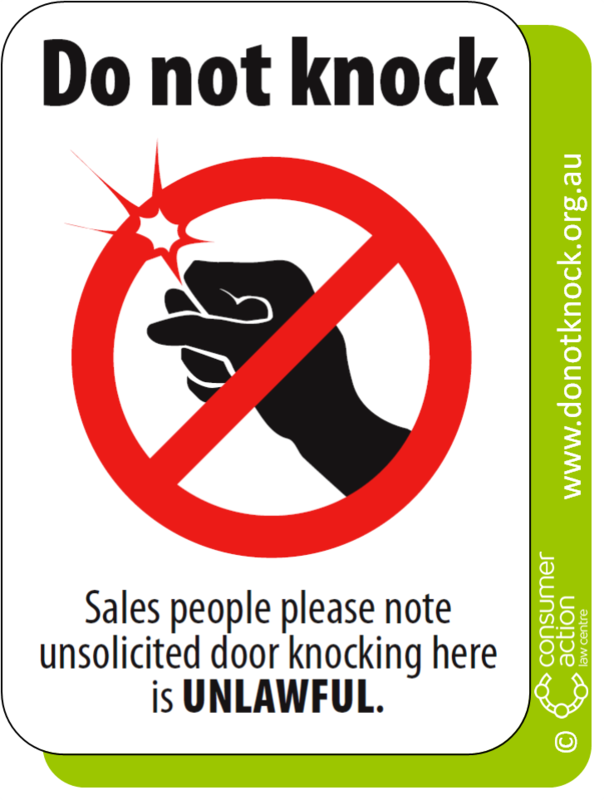 If you’re a ‘do it yourself’ kind of person, or you just can’t wait to get your sticker in the mail, why not print your own Do Not Knock sign by clicking on the image below. It might not be water-proof like the real thing, but it has all the same legal powers and it will still keep pushy salespeople from knocking on your door. And while you at it, why not print one off for a friend or neighbour? Just click on the image below and then print it!